Vernon H. McCray was born and raised in Clark County. 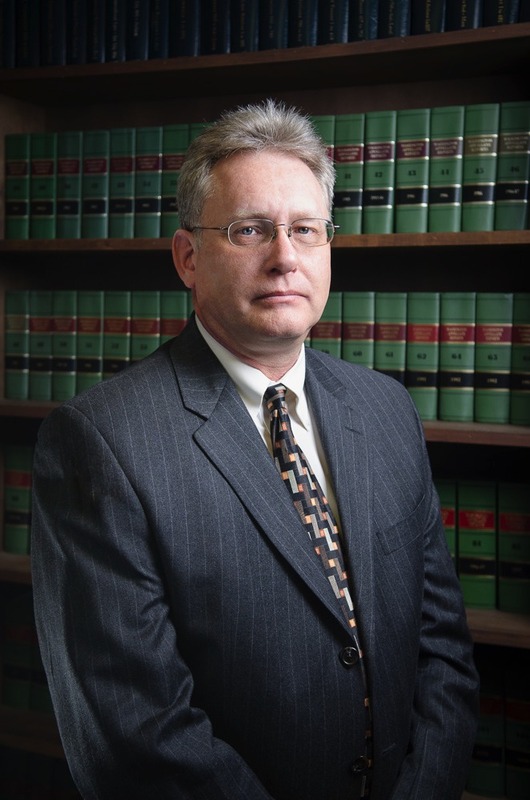 He started his legal career in 1989 as a limited practice intern, prosecuting misdemeanor cases for the City of Washougal under the mentorship of now Superior Court Judge Edwin L. Poyfair. He graduated from Lewis and Clark Law School in 1991 and became a member of the Washington State Bar that same year. Upon graduation, Mr. McCray worked as an associate attorney for the law firm of Poyfair and English. In 1994, he began working for the Boyd and Gaffney Law Firm, becoming a Partner one year later in the firm known today as Boyd, Gaffney, Sowards, McCray and Treosti…. Now in January 2012 Mr McCray branched away from Boyd Gaffney and Launched his own Practice in the very same location. Mr. McCray's first decade of practice covered the gamut of the general practitioner. In conjunction with his practice, he also taught for several years as an adjunct professor at Clark College. Heeding a personal call to civic duty, he served in the elected position of Washougal School Board member and also proudly served in the U.S. Army from 1983-1985. For the past decade, Mr. McCray has limited his practice to criminal and family law, two areas of the law he finds both challenging and rewarding. Besides being one of only a handful of attorneys in Clark County to have tried an aggravated murder case, Mr. McCray is also licensed to practice law in Federal Court, and he has successfully tried virtually every type of family and criminal case within our justice system. Mr. McCray’s thorough approach to helping each defendant navigate what is often the most difficult time in a person’s life has earned him the reputation of being a fierce advocate to have on their side. His family law practice is likewise geared toward making certain that the client receives the benefit of two decades of experience resolving the often emotional issues of dividing a family's assets and ensuring that parenting time of children is properly apportioned between the parties. In the event settlement of a case is not in his client’s best interests, Mr. McCray will not hesitate to put his years of trial experience to work for his client. Sensitive to the financial needs of individuals, Mr. McCray works diligently to keep the expense of family and criminal matters from spiraling out of control while strongly advocating on behalf of his client. Should you find yourself going through the difficulty of a family law matter, or through the nightmare of a criminal prosecution, contact Mr. McCray for a consultation. He will endeavor to meet with you the same day you call, and will work with you to develop a plan to meet your needs. Mr. McCray offers a flat fee for most services, ensuring that you control the costs of litigation. He is also pleased to tailor a plan to meet your budget.